Harnessing the power of a 2200 °C fireball will be one of the experiences on offer to budding tradespeople at Charles Darwin University’s Open Day on Casuarina campus this Sunday. In a virtual reality created by a new welding simulator, even a novice can learn the basics of welding. CDU Trades Industry Division team leader Rohan Badenhop said CDU had the latest in simulation equipment to enhance learning for the NT’s future tradespeople, and the VET training demonstrations would have something for everyone. “The new simulator allows students to learn the basics of how to control what is known as the ‘weld arc’, a 2200 °C fireball that connects two pieces of metal,” Mr Badenhop said. “The simulator then gives them instant feedback on what they are doing wrong. Mr Badenhop said the simulator would not only help students learn more quickly, it would also reduce material costs and wastage. 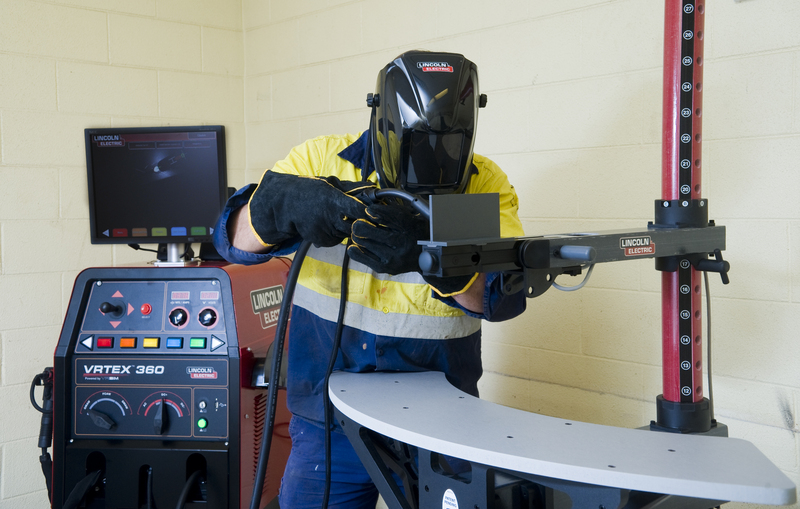 Those wishing to pursue a trade are encouraged to come and find out why CDU’s students are among the Territory's top apprentices, trainees and vocational students and why CDU is consistently recognised as the NT's Training Provider of the Year. The CDU Open Day will run from 10am to 3pm on Sunday, 28 August 2011. For program details visit W: www.cdu.edu.au/openday/.